Named after P.W. Korthals [1807-1892], a Dutch botanist. Found in primary, including riverine and peat swamp, forest, secondary forest, along rivers and in villages; on clay, loam, limestone, sandstone, sand. 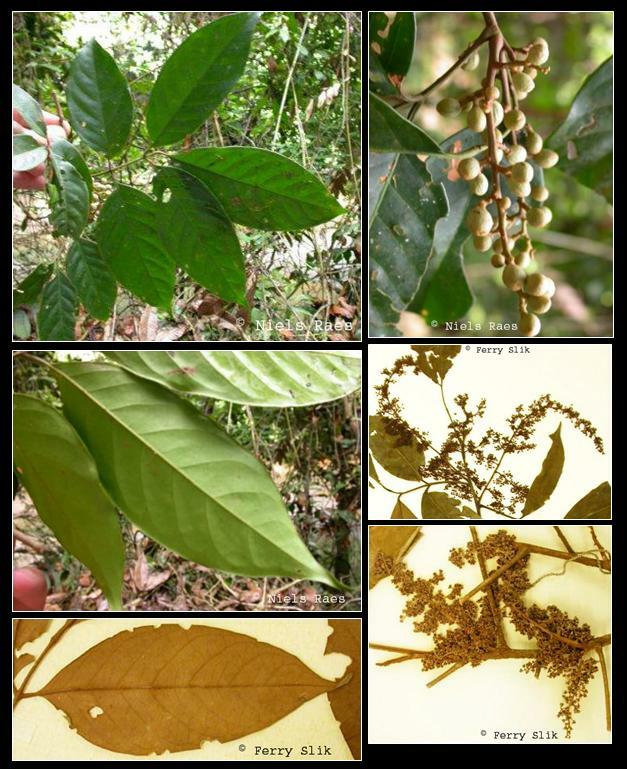 Cultivated in Kelantan (NE Malay Peninsula); occurring up to 1700 m altitude. The wood is locally used for house poles. The fruits are edible. From India, Buthan, Indo-China, Burma and Thailand to the Moluccas. Borneo: Bilajang merah, Bunjau, Langsat, Langsat munyit, Lantupak, Mula, Mulak, Pulu, Segara.